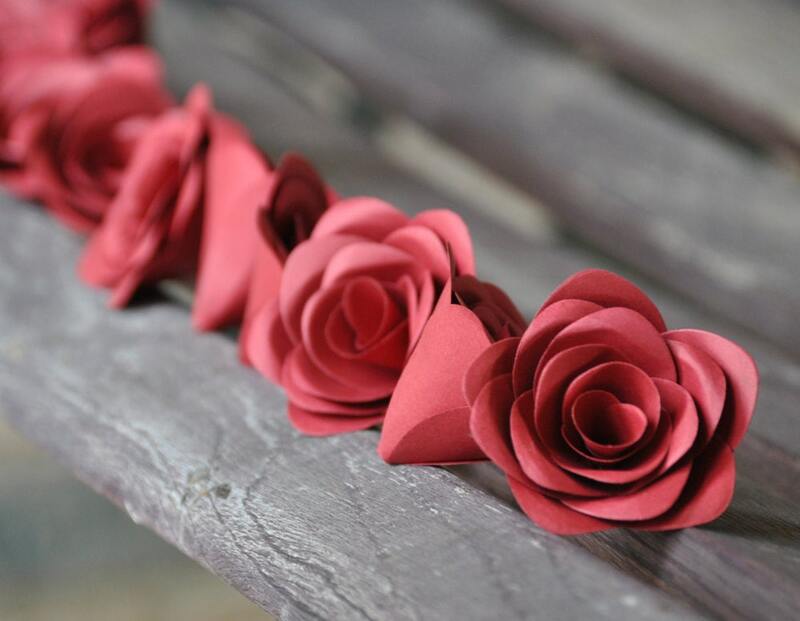 Mini Roses, Paper Decorations. CHOOSE YOUR COLORS. Cake Topper, Garland, Weddings, Shower, Favors. 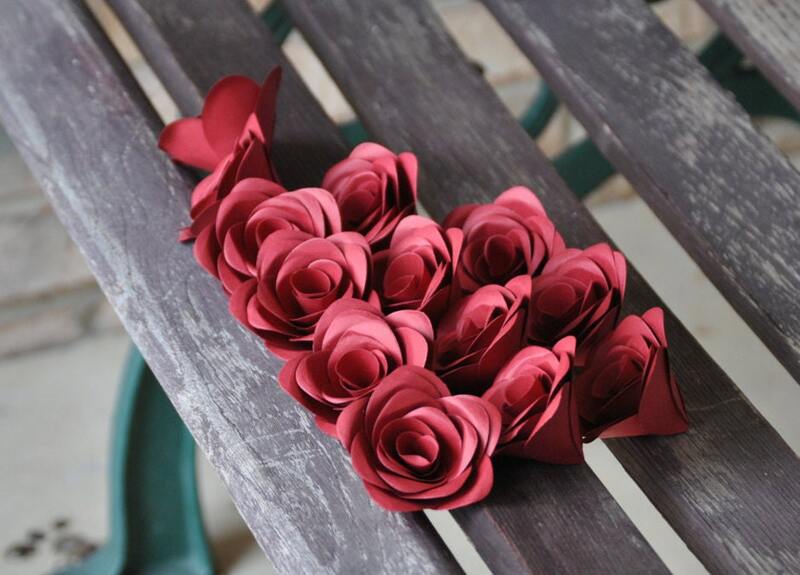 These beautiful paper flowers are perfect for decorations I can make these in the colors of your choice! They are shown in a red color. 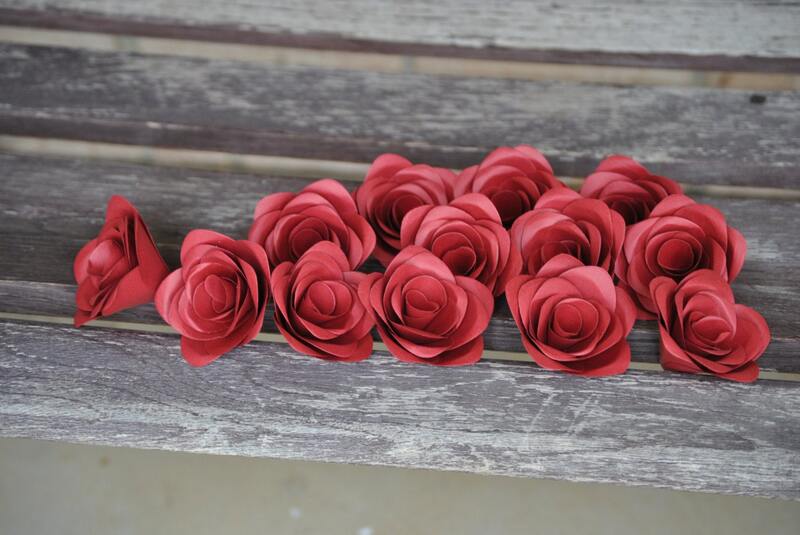 They are perfect for putting on a cake, stringing on garlands, using as favors for a wedding, or putting in bouquets. 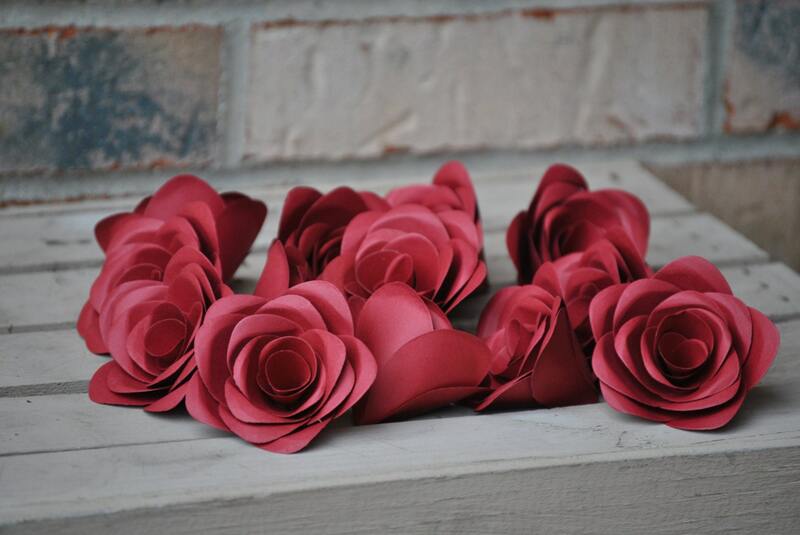 This listing is for 12 paper roses, which each measure 2" wide across the top. 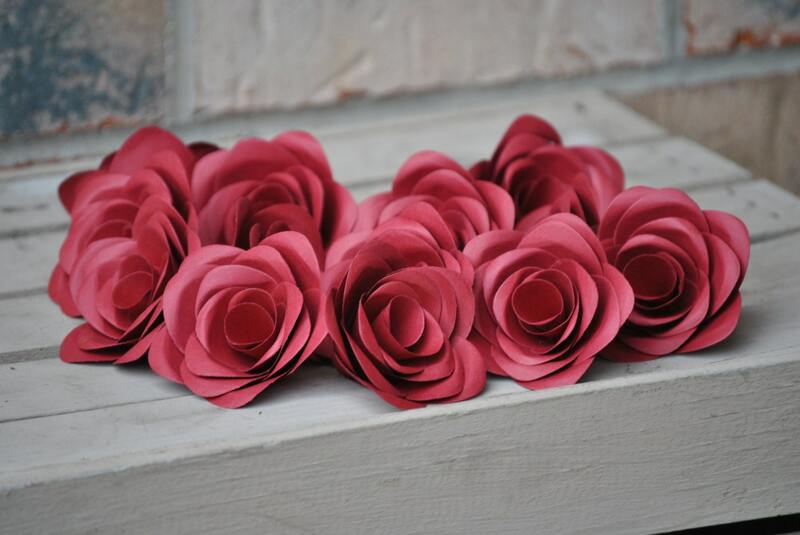 If you want these on stems, please let me know at checkout. -Please leave me a note with the colors you would like! -Select if you want stems or no stems from the drop-down menu on the right. Please send me a message if you would like me to make you something different.